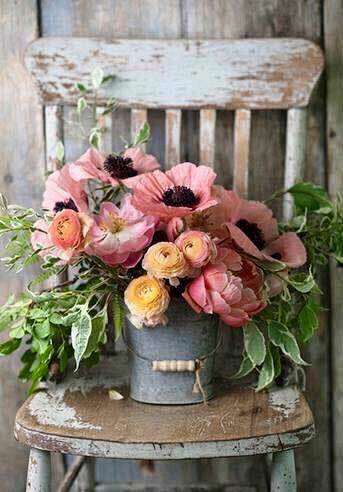 Love poppies? Sow seeds now (late summer/early autumn) for a fine summer display. 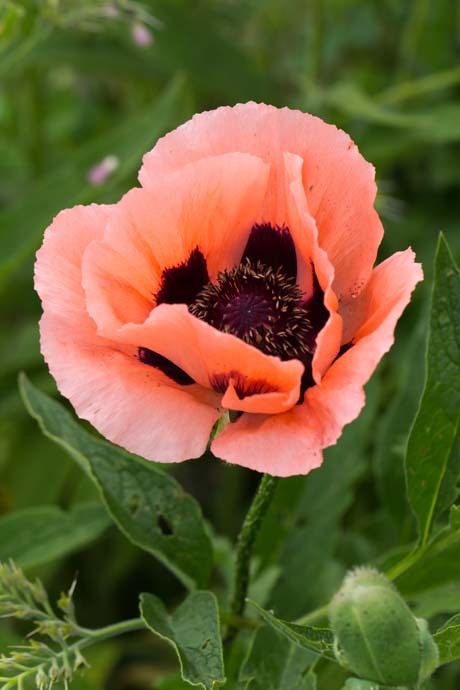 Look for Oriental poppy seeds (available from garden retailers and online mail-order nurseries) and start the seed in pots or directly in the garden. 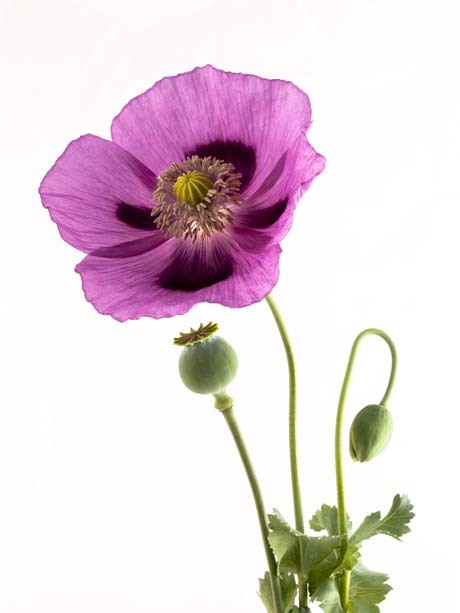 Poppy seeds are tiny, so some gardeners like to mix them with a little sand to ensure they spread out better. I can’t be bothered with that. You can simply pour them into the palm of your hand, pinch up a few and sow them where you want. You can thin them later if necessary to give individual plants room to grow. There’s no need to cover the seeds: simply press them into the soil and water. Images: Top photo from Deerly Missed; bottom photo from My Pleasure. 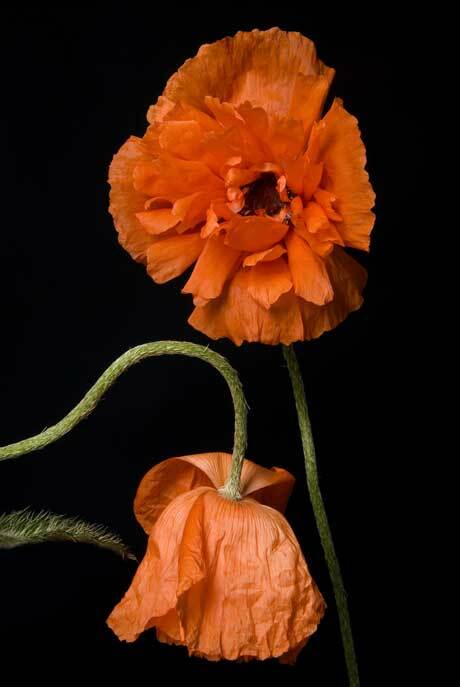 One of our lovely readers asked if it was possible to sow poppies in spring as well as in autumn. She had read that seed sown in autumn resulted in a stronger plant, but other than that, was there any reason why you shouldn’t try sowing poppy seed in spring? 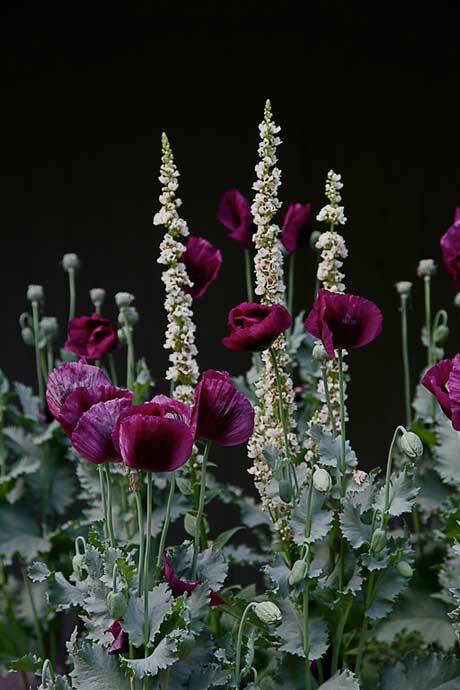 Well, it’s true that you’ll get a stronger and bigger plant if you sow your poppy seeds in autumn, and in areas with warm winters, autumn is definitely the better time to sow. That’s because poppies typically go dormant from around midsummer, or sooner if you live in a warm area. If sown in spring and you live in a warm area, your plants may not grow large enough to flower before the weather gets hot. Spring sowing is fine for areas that experience cold winters. If the weather where you live is in between, there’s no harm in trying a spring sowing. It’s best to sow seed directly in the soil.